The brightness of the laptop monitor is not constant. 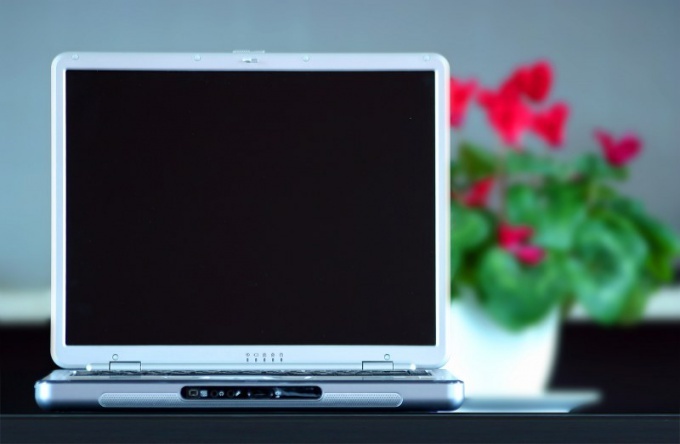 As laptop is a portable computer, work on it can be made in various lighting conditions, that require different display brightness. Reduce the brightness of the laptop monitor in various ways. The simplest and most popular way to reduce the brightness of the laptop monitor is using a combination of special keys located on the keypad of the device. They do not depend on any drivers and work in the vast majority of operating systems. In order to reduce the monitor brightness, press the Fn key and hold, press the button marked with dimming (located on the arrows or on the function keys). Fn button, in turn, is specially designed to work in combination with other keys, which saves a lot of space. To reduce the brightness of the screen as possible, resorting to the special settings of your computer. To do this, click "start" and launch the "control Panel" Windows. In the "control Panel" select label "Screen". Decrease the brightness of the laptop is made by moving a special slider to the left (or down). In Windows 7 this setting can be found with the help of standard search for "screen Brightness". The reduction is also performed using a slider. In addition to the above methods, the screen brightness can be reduced in the settings of the graphics card. Go to the settings of the video card you can either select "Properties" from the context menu of the desktop, or by right-clicking the driver icon located in the system tray. Dimming is achieved by moving the appropriate slider to the left. 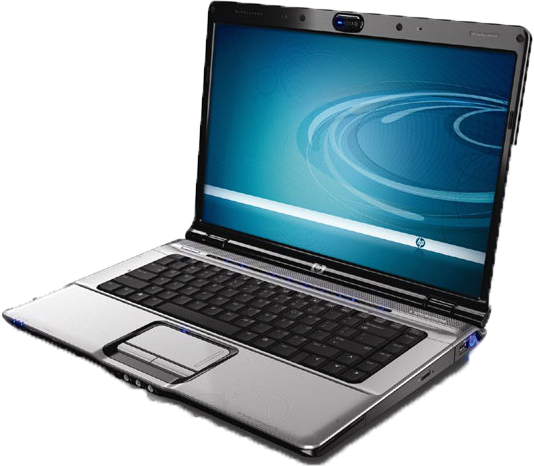 Depending on operating system, laptop model and graphics card are ways of reducing the brightness may vary. 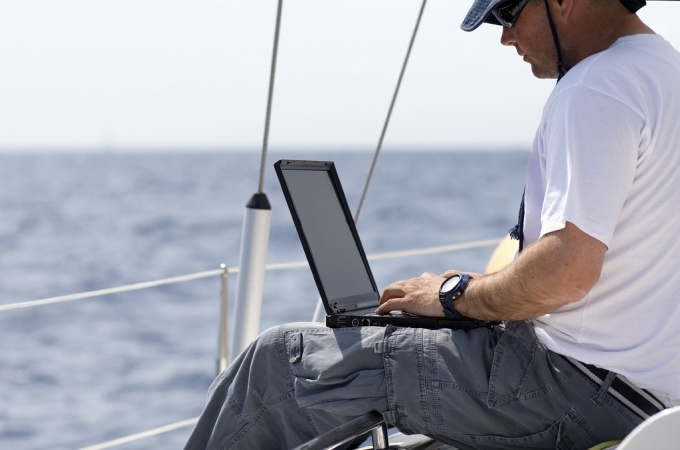 Decrease the brightness of the laptop display when working in the dark, it will help significantly reduce the load on vision. 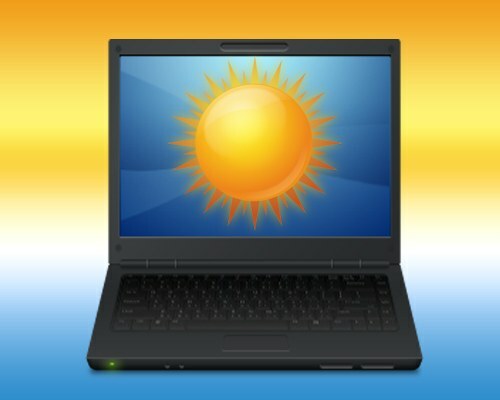 Properly configured the brightness of your computer screen – the key to a comfortable work and a mild effect on vision. Brightness is too strong could lead to headaches, eye fatigue and an overall loss of efficiency, as well as the wrong brightness setting gives incorrect colors on the screen, which is especially disadvantageous if you are working in the field of design, advertising, or video editing. The screen brightness can be adjusted independently by installing the most comfortable and correct its value. Open the system section controls brightness and contrast of the screen. Find these controls, open the window settings and adjustments, and then adjust the contrast and brightness, depending on what type of monitor. If you have a standard monitor with ray tube (CRT), set the maximum contrast value. If the monitor liquid crystal display (LCD) – find the value of contrast, which is installed by default as a factory setting. Then swipe the brightness setting on the same principle, without making it too low and not making too high. Open the Brightness setting in the OSD menu – often on a typical desktop monitor brightness menu is invoked by buttons on the front panel of the monitor. If you want to adjust the brightness on the laptop, press the Fn key activates extra functions and holding this key, press button, keyboard, on which there are icons of increase and decrease in brightness. To reduce too much brightness, repeatedly press the key to decrease until the brightness of the screen will not be optimal and comfortable for working at the computer. You can also use as a reference to adjust the brightness and contrast of any image that has a dark background and a dark object in the background. When correctly configured the brightness and contrast of the object will be visible in the background, and will not merge with him. 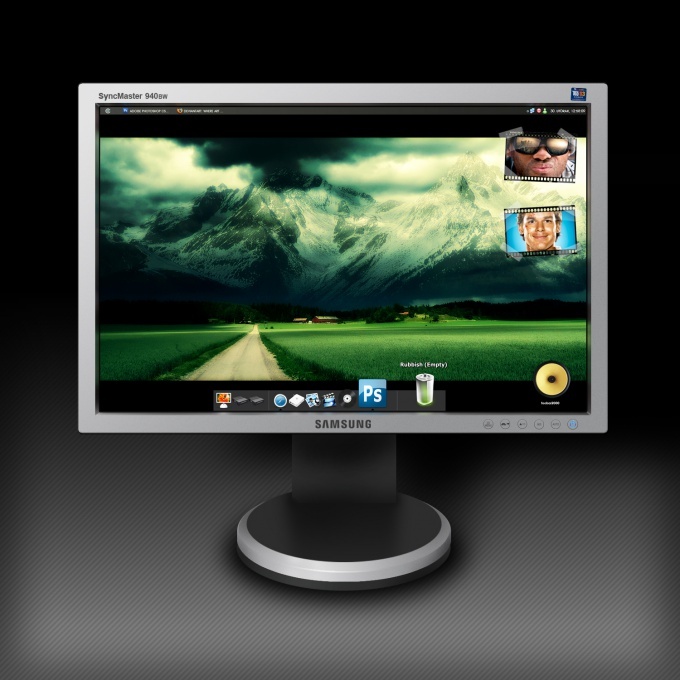 Not always the standard brightness of the monitor can provide high-quality playback of images. Brightness setting allows you to improve the perception of information, provides a more realistic color representation for images. 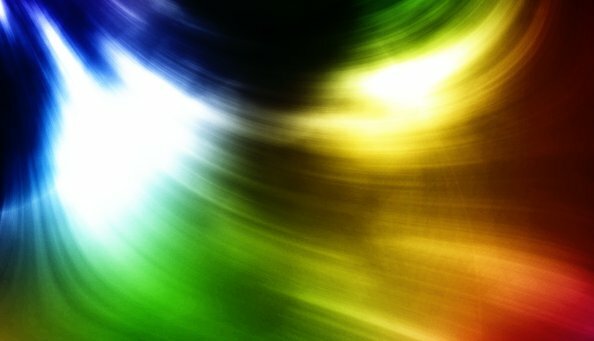 There are several ways to change the brightness of the monitor. These programs allow you to get the best settings for your monitor. Typically, these programs require special devices, which are fixed in front of the monitor for the reading of the brightness level to automatically change the monitor settings. Virtually every monitor has special controls located on the front panel of the monitor, which change the brightness and contrast of the image. But it must be remembered that this method is less effective than adjusting the brightness with the help of special programs. Most monitors have a standard notation brightness but some models have a different number and arrangement of buttons. 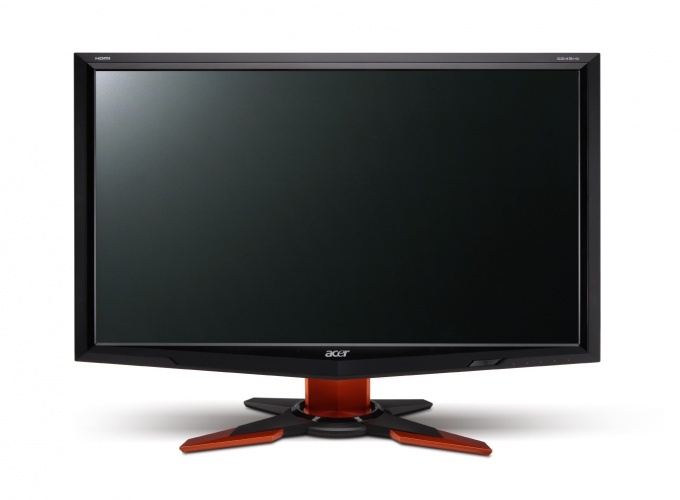 Consequently, to change brightness, you have to carefully study a guide to using the monitor. An advantage of using computers for watching movies and television is the possibility of flexible settings, image quality and sound. To change the contrast of the picture in several ways, depending on the viewing environment. To change the contrast of the static image (photo, picture) use the functions viewer programs. Traditional programs that are installed in Windows by default, do not possess the desired functionality. But use professional editors to adjust the contrast also is not necessary. Quite suitable known solutions: ACDSee, FastStone Image, IrfanView and other programs of this kind. With the image open any of these programs, go to options and find the appropriate option. So to change the contrast of the picture in the program IrfanView, go to Image in the item Color corrections. In the opened settings window, move the slider of the Contrast setting to achieve the desired result. Click OK to change the original image and, if necessary, re-register it with the new file. To change the contrast of an image, and when watching movies and TV series. For this study the settings of the main player you use. Find the settings for the output image. To change the contrast , quite simply, if you use VLC-player. Go to menu "Tools" item to Extended Settings. In the new window click the tab "Video effects" and tick the "image Settings". Inactive options will be available, and you will be able to install the new settings contrast. If you are not happy with the overall contrast of the image on the monitor and not the quality of the individual files, change the contrast in the settings of the graphics card. Go to display settings and click Advanced. In the new window, go to the settings tab of the video card from the manufacturer. On the example of Intel graphics Graphics select "Graphics" – "color adjustment". You will see already familiar from the previous steps the slider of the contrast settings. Install it to a new position and press OK. Properly tuned contrast of the monitor allows you to improve the perception of image and colour reproduction. Screens conventional desktop have to configure the appropriate keys directly on the display, while the laptops have these buttons available. Most laptops have on the keyboard the appropriate keys that allow you to adjust only the brightness. However, the contrast can be easily changed in the driver settings of the video card built into the laptop. If the laptop has a video card from Nvidia, the display contrast can be adjusted using the control panel driver. To do this, click the right button of the touchpad (or mouse) on the desktop and select "Nvidia control Panel". Click "adjust color settings in the desktop by using the links at the left side of the program window. Select "Use Nvidia settings" then adjust the desired level using the slider under "Contrast". If the laptop has a graphics card from ATI, then download the latest version of the Catalyst drivers. It is similar to the control panel options from Nvidia. Go to tab color on the left side of the program screen. Adjust the contrast with the corresponding Contrast slider, and then apply the settings made. For integrated graphics Intel Graphics is enough to choose in the driver settings, the item "Graphic features" -> "color Settings", where with the help of the slider you can set the desired parameters of brightness and contrast. To change the contrast directly when watching movies or any images, you can use the functions of your application. For example, in VLC media player access to such settings is found in the Extended Settings menu "Tools" program. In the third-party image viewer software also provides function settings display, which is located in "Options" - "display settings" ("setting image"). 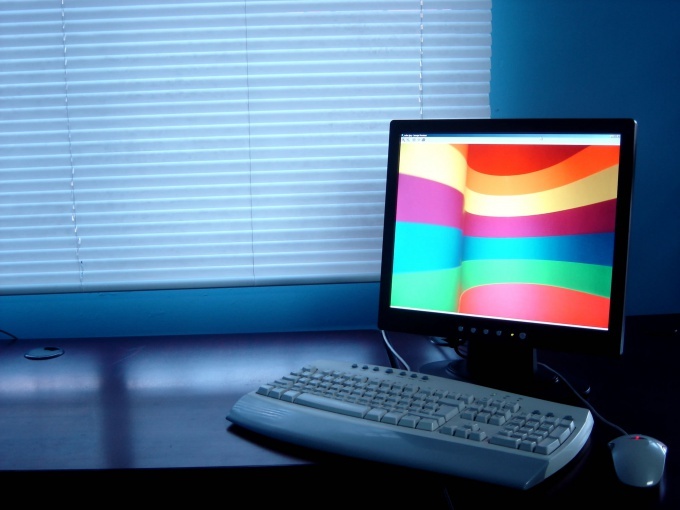 Properly configured settings of the PC monitor, such as brightness, contrast and other, significantly improve the perception of graphical information. And if setting up, say, contrast with the monitors desktop PCs all clear (buttons adjustment parameters of the monitor are located on it), with laptops and netbooks, things are more complicated. On the keyboards of most laptops there are buttons for the display settings, but they concern only the brightness. Contrast you can change in the settings of the driver installed on your computer graphics card. In the case of the graphics card manufacturer Nvidia, the contrast is adjusted using the control panel of your video driver. Click the right mouse button or touchpad on the desktop, and then select the option called "Nvidia control Panel". Go to the menu item "adjusting the color settings in the desktop by using the links at the left side of the window. Then select "Use Nvidia settings" and increase contrast in the corresponding item in the slider to the required level. In the case of the card manufacturer ATI first download the latest version of the Catalyst video driver. Function in this case is the same as the Nvidia control panel. Go to the Color tab, located on the left side of the program window. Now you can adjust the contrast in the corresponding item (Contrast) using the slider. After configuring the contrast, save the changes. If your netbook has integrated Intel Graphics, video driver settings, select the item called "Graphics options", then "color Settings". Here (again, using the slider) the contrast can be adjusted at discretion. If you need to increase the contrast during viewing of presentations of individual pictures or videos and films, use the functions of the application through which you view a particular file. For example, in VLC player access contrast settings as follows: click with the left mouse button or touchpad to point me the "Tools" and select the sub-item Extended Settings. In many programs, the contrast can be adjusted by following the chain of menu items: "Options" -> "picture settings" (or "display settings"). Depending on the current task you may need to adjust the screen brightness of the laptop. For example, in the dark, the brightness can be reduced almost to a minimum, and if the work is carried out under strong lighting, for better visibility of the screen should make as lighter. To adjust the brightness in different ways. Use the special keys, designed to adjust the brightness of the screen. These keys operate in virtually all operating systems, regardless of the specialized drivers. In order to adjust brightness, press "Fn" and hold it, then click on the symbol with increased brightness. Fn key in this case is as "hot". The combination of functions on one key devised specifically in order to save space on the laptop keyboard, as well as to provide quick access to commonly used functions. This method adjust the brightness of the screen is the most simple. Go to "control Panel" of the Windows operating system or similar service in alternative operating systems. To change the brightness of the screen, select the label (or tab) called "Display". In the opened window find the slider to adjust the brightness, and in order to make the screen lighter move it to the right until the brightness of the screen reaches the desired value. 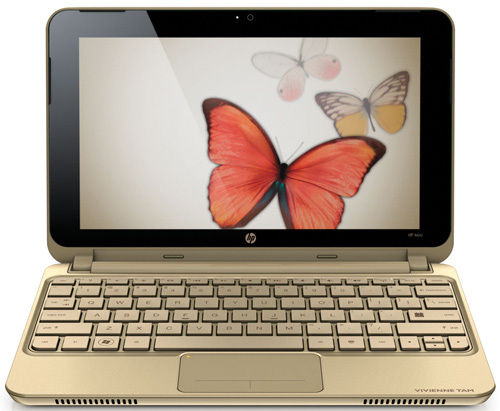 Use a special program supplied with the laptops are equipped with powerful integrated or discrete graphics cards. These programs are designed to change the settings of video cards on the fly, and their variety depends on the model of the graphics card. They work usually in the background, and the icon is always located in the system tray. To enter the settings click on the icon click (right or left) in the dialog box or the shortcut menu, find settings and make the screen brighter by moving the slider to the right. However, this method is much less convenient than using hotkeys laptop. Increasing the brightness of the monitor on the laptop can sometimes be really challenging, because unlike monitors, they don't have mechanical buttons to adjust the image. It all happens at the hardware level. If you need to increase the brightness of the monitor on an Acer laptop press the Fn and right arrow keys. This feature is available only for those models with the scan code for the Fn keys. Also, use the change screen brightness via the menu of power modes. To do this, click the right mouse button on the desktop, select "Properties". On your screen a window will appear with multiple tabs, select the one which is responsible for saver settings. Open the "power options" and adjust change the brightness of the screen in different modes, save and apply the changes. Also note, that often happens when you change the working of power supply circuits with low to normal does not change the backlight brightness of the screen, in this case, you'd better set the same backlight level for both modes, not to change the settings in the future. If you need to change the brightness of the backlight, and the parameters of the image itself, go to the Settings tab, click on the "Advanced" button in the lower left corner of the window. You will have a menu module setup connect monitor. Click the tab that says the name of your graphics card. Click on the "Graphics specifications". You will have a new window of settings of the graphics card. Select the ones responsible for setting brightness of the monitor and color. Adjust the settings of their choice, save and apply changes. Download and install the computer software to assign functions to some keyboard shortcuts, for example MediaKey. Open it and select action change the brightness of the monitor when you press Fn with any other, preferably with the arrow keys left and right, apply and save the changes. Be careful when you change the settings of the video card, consider its performance. Assign keyboard buttons to edit the brightness of the monitor using a special program. To use the computer conveniently, you need to configure the monitor in a manner that less strain to the eyes. Mainly responsible for this, parameters such as contrast and brightness. Activate the default settings of the monitor to remove the brightness. Typically, factory settings are the most optimal. Each monitor before send it to the implementation, a factory specialist calibrates and rebuilding, saving settings. To activate the factory settings, click on the monitor button Set/Auto. Usually it is located on the bottom panel, if we are talking about LCD monitor. If you have a monitor with a CRT monitor (the CRT), then this function you can activate in the main menu. Adjust system settings to remove the brightness on the monitor. In control panel go to the monitor settings. There, find the section of the contrast control and the brightnessu of the monitor. Install the best in your opinion the settings and save them. Use preset profiles on your monitor to reduce brightness. On the front bottom panel of your monitor to find the buttons, signed as "-" LightView "+". Alternately, press the + and-buttons. Trigger various factory modes, which is a certain ratio of brightness and contrast of the monitor, specially selected for different purposes of use. If neither of these modes does not satisfy your needs, adjust some of them manually. Select the mode that is closest to the desired result. Then go into the monitor menu and adjust the parameters of brightness and contrast. It is best when setting up to use a special image, which have great resolution and color range that will allow us to determine how well-tuned monitor. These images can be found on the Internet. Download one of them, open any app and adjust the brightness of the monitor of your personal computer. The brightness of the screen of the monitor or the brightness of the image transferred on it can be configured in several ways. 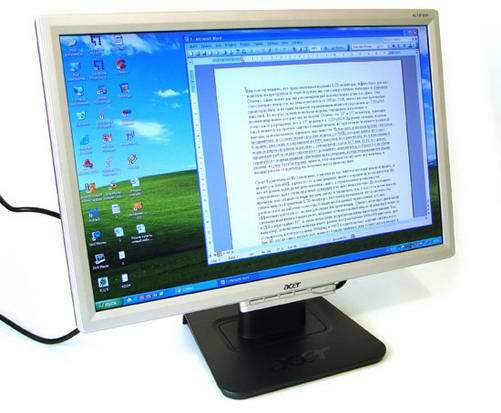 If a conventional display is more or less clear, with portable computers usually it is harder because they have no special menu button. Locate on the front panel of the monitor button that controls the image settings screen. They can also hide in the bottom of the monitor, side and so on, depending on the model. Many monitors support control using the touch buttons. Look through the settings menu the brightness of the screen, usually they are marked with special icons. To navigate through the menus and settings use the buttons to increase or decrease the volume, arrow keys and so on. Learn more about the functions of the control settings from the front panel of the monitor, read the user manual that usually comes with the equipment, also you can download it on the website of the manufacturer. Note the presence of your display settings for a particular mode of using the device for reading, watching movies, working with graphics and so on. You can choose one of them according to your preferences. To set up your own profile, which you can save, you can customize the special item in this menu that takes into account your preferences regarding the brightness of the screen. Adjust the brightness of the screen utility to manage your adapter. You can find it in the list of installed programs or from the control menu on the video card in the desktop settings. 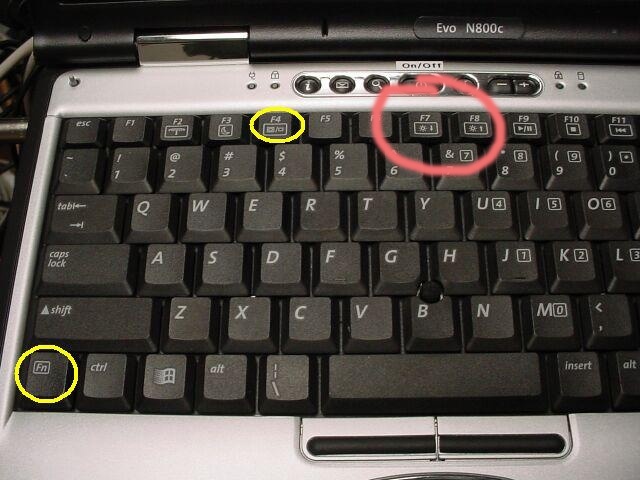 If you have a netbook or laptop, use the Fn key, which in combination with the arrow buttons or buttons from the top panel keys F1-F12 adjusts the brightness of the screen of the monitor. To do this, look on the keys a special icon denoting the settings of brightness. Also the relative control parameters of the monitor of the laptop read the user guide. Do not make the maximum brightness of the monitor in dim light or the absence of additional light source. Very often when working on a laptop there is a need to increase the brightness of the display. On many laptops the configuration of this function occurs at the hardware level, as not all models feature dedicated buttons. To increase the brightness of the monitor press the "start" button, go to "control Panel", then "System and security". Open the "power options" and change the settings the screen brightness by moving the slider to the right side in a convenient position. You can also change the brightnessby clicking on desktop on the right mouse button. Select "Properties", click the "Settings" tab. Change the resolution of the screen, increasing brightness. In the same Settings tab, click Advanced. In the window that appears, find the button with which you will be able to enter graphical information to change the setting of the monitor module. To do this, open the tab with the name of your graphics card, select the characteristics that are responsible for the brightness of the monitor. Enter the parameters in its sole discretion, save and apply. In some models, the notebook is a window you can open by pressing Alt+Ctrl+F12. Download online program, for example, Media Key, which is responsible for setting functions some keyboard shortcuts. In modern models of laptops , the brightness can be set using the Fn button and the right arrow or the function keys (F1-F12). Note that this function is available for models that have the scan code for the Fn button. If your laptop does not support the specified format settings, update the drivers. You can download them freely available on the manufacturer's website or download from the installation disc included in the package of the laptop. Many official drivers support automatic configuration of images on the screen. Note that the setup using the special calibration programs are much higher quality than the settings manually. At the same time changing the backlight settings of the monitor. Lighting conditions when working with portable computers are changing more often and in much larger ranges than with desktop. Therefore, the brightness of laptop screen has from time to time to adjust. This operation can be implemented in several ways - by pressing the two buttons on the keyboard to change the settings of the operating system. Use "hot keys" that are assigned to functions of increasing and decreasing brightness - these two operations are separated in laptops. One of the keys included in both combinations - Fn, and the other two each manufacturer of a portable computer chooses at its discretion. For example, if you have a laptop Asus, to increase the brightness, press Fn + F6, to decrease is Fn + F5. The desired function button must be marked by a corresponding symbol - usually the symbol of the sun, supplemented by plus and minus buttons, multi-directional triangles or just two suns of different sizes. 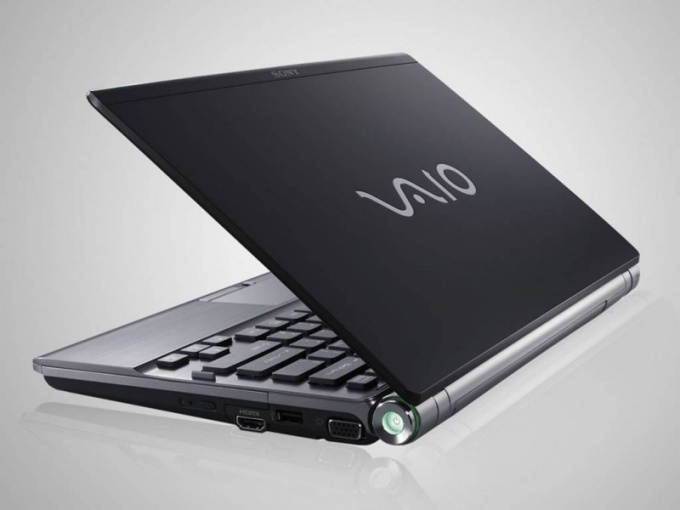 Another way to change brightness is using the appropriate control of the operating system, which runs the laptop. In Windows 7 to cause it to appear on the screen press the Windows key, type "ele" and click the line "Change power plan" in the displayed set of links. In the applet window using the sliders to the right the inscription "to Adjust the brightness of the plan" set the desired brightness. These two controllers here - one allows you to specify a parameter value for a laptop that is connected to an external power source, and the other adjusts the screen brightness when running on batteries. Complete the process by pressing the "Save changes". If your laptop has a light sensor, using the settings Windows can be set to automatically change the brightness of the screen depending on its "exposure" - in the dark the brightness will decrease, the sun will increase. To find out whether there are sensors in your laptop, click on the link "Change advanced power settings" in the applet window "control Panel". The window will contain the presets, divided into sections, each of which is revealed by clicking on the plus sign to the left of its name - open section "Screen". If it has a setting called "Enable adaptive brightness", it means that the laptop has the necessary sensors, and the version of Windows that allows you to use them. Set the value to "On" in rows relating to the mains supply and from the battery, and then press the OK button.